Migratory bird, the woodcock prefers the areas with young forests and humid soil. The passage usually starts in March, when the woodcocks are heading to the nesting places in northern Europe. 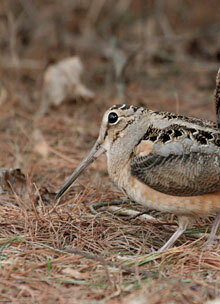 Woodcock season occurs from September 15th to April 15th. The hunting methods are evening still hunt and the most spectacular and most difficult – with the pointing dog.